Imagine driving through the French countryside surrounded by rolling hills and pastoral beauty. The landscape is lush with budding flowers, charming farmhouses and grazing Normandy cows roaming lazily through the grass. The French countryside seems as though it could go on forever, extending endlessly in fields of wild flowers. Suddenly the scenery shifts revealing shockingly blue ocean and dramatic rock formations in the distance, a quaint French town nestled around the water’s edge. This is Étretat. With its iconic cliffs framing Caribbean hued seas, Étretat looks like a place found in Hawaii rather than on the Pays de Caux coast of France. The cliffs look out onto open ocean, as though you could spread your arms and sail freely across the Atlantic without a care in the world. With its awe-inspiring scenery and romantic seaside town, it’s no wonder that artists like Claude Monet had set up easels to capture the magic Étretat holds. While recently visiting the Metropolitan Museum of Art in New York, I came across Monet’s series of paintings depicting la magnifique Étretat. Although Monet is my favorite artist and his paintings perfectly captured the pastels and vibrant hues Étretat offers, it is an impossible task to truly harness the unparalleled sense of freedom and peace that visiting Étretat brings. Standing on those cliffs, the entirety of the Atlantic Ocean in front of me, I remember feeling both sublimely happy and utterly relaxed—-a sentiment I wish I could inspire more often in New York. Any worry, stress or negative thought seemed to float away from my mind leaving behind a sense of contentment that can only be described as magical. Although Étretat is miles away from where I now sit in my Manhattan apartment, I find peace knowing that heaven on earth is only a plane ride away. 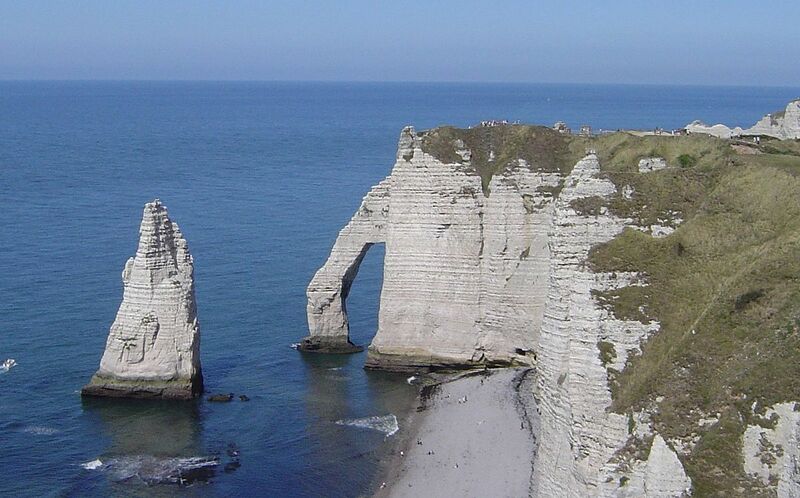 Étretat is roughly two hours from Paris. There are different ways to get there by driving, bus and train. 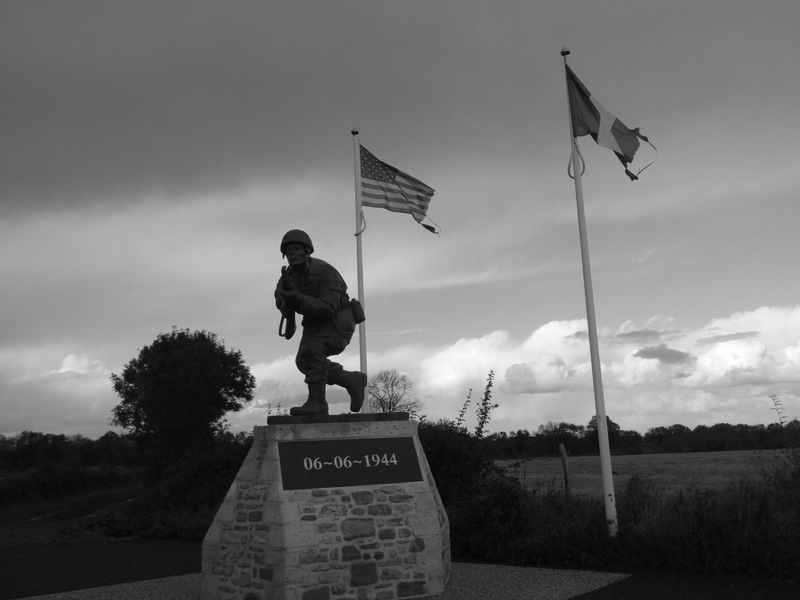 Driving is by far the easiest option as it gives you the flexibility to explore other highlights of France’s Normandy region along the way including the Normandy Beaches and to sample the stellar cuisine. If driving isn’t an option, then take a train from Paris or Rouen to the city of Le Havre. Because direct trains don’t go to Étretat, you’ll have to transfer to bus 24. For trains, purchase tickets from Voyages SNCF (UK & Europe) or RailEurope (USA). Breathtaking. Absolutely breathtaking. I never would have guessed this was in France. Those white cliffs look more like Dover! The photos are just beautiful. I might just have to add this to my growing bucket list.